CALMer KIDS is a 12-Week, structured, Self-Reg™, Cognitive Behavioural Therapy (CBT), and holistic health support program. This program will teach you how to become an anxiety and stress detective for your child. The CALMer Kids program will help your family learn to regulate emotions and help your child learn healthy coping behaviours. Our CALMer KIDS program will set you on the path for improved mental health management for you and your whole family. After years of doing this work, we have seen first hand the positive progress for families when we work on emotional regulation along with nutrition, sleep, physical activity, social connections and positive family relationships. 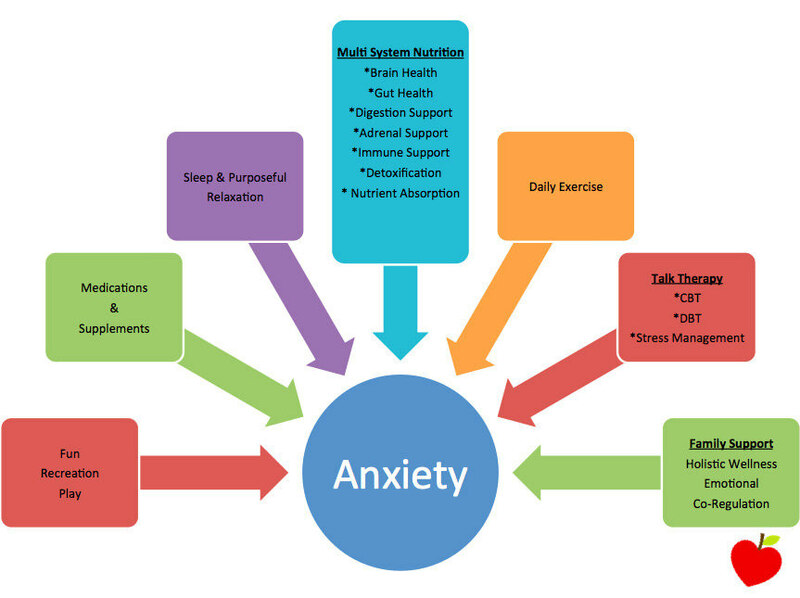 These all play a role in mood and anxiety management. Hearing your child complaining about aches and pains in their bellies, but the Doctors say that there is nothing wrong. An Emotional Regulation Assessment – This assessment will help us create the foundation for your CALMer KIDS program and help you set goals for the next 12 weeks. Over 12 hours of face to face counselling support sessions. 1 Assessment session, 5 sessions with Lisa, 5 sessions with Laurie & 1 wrap up – Where to go from here session. Email support throughout the program. 12 mental health supporting recipes that are easy to make and will excite your taste buds. Weekly health and mood regulation handouts to help guide you. Video-based family practice activities to help you connect and model emotional regulation skills for your child. Referrals to other healing professionals. Priority for registering in of our health and wellness workshops, learning events and retreats. Learn how small nutrition adjustments can make big behavioral improvements. Learn why living well with a mental health concern requires better nutrition, sleep, and exercise. Acquire the knowledge of why moderate exercise is an essential component of your family’s mental health management. Receive up to date knowledge about vitamin and mineral deficiencies and their role in mental health management. The anxiety and mood management results that families feel during our CALMer KIDS – Calm Anxiety Life Management (Emotional Regulation) Program can be life-changing. Where would your family be in 12 weeks time if you finally got the mental health management information, support, and counseling you have been looking for? Are you ready for real change in your life? Are you ready to discover the possibilities? Contact me today! Then, together we will discuss if the CALMer KIDS – Calm Anxiety Life Management Program (Emotional Regulation) is for you.